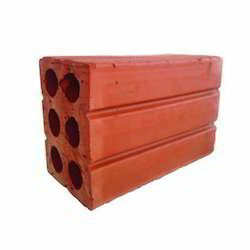 We are a leader in manufacturing and supplying of Hollow Clay Brick. These are available at affordable rates to our esteemed buyers. We deliver quality products with the best pricing in the market. Size: 9 In. X 3 In. X 2 In. 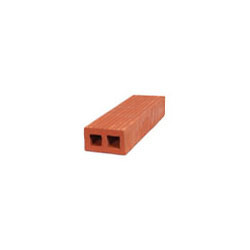 Hollow Clay Blocks Brick are used for faster and lighter constructions. These are 30% lighter than standard bricks. The size of one block is 8"x8"x4" (approx 2.25 times of bricks). Utilizing clay blocks will also help you reduce the mortar consumption and provides thermal insulation to rooms. Dadoo Brick Kilns Pvt. Ltd.
Owing to the rich industrial experience and expertise in this business, we are engaged in providing Lightweight Clay Hollow Brick. We are the leading organization in the market to offer the best quality range of Porotherm Clay Block. Enriched by our vast industrial experience in this business, we are involved in offering an enormous quality range of Terracotta Clay Brick.